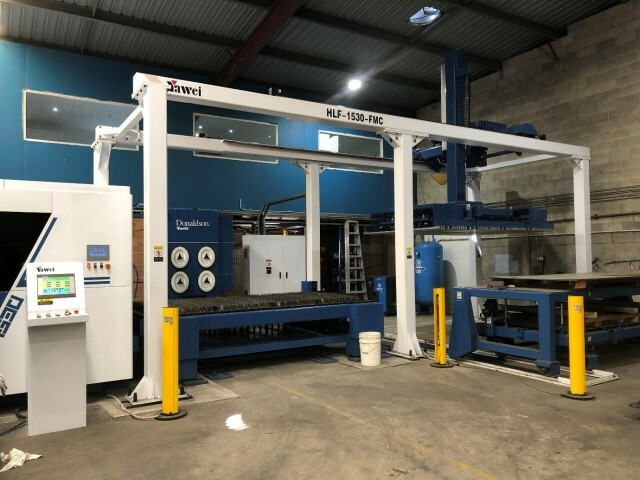 Located in Kings Park, Sydney, Alliance is a privately owned sheet metal fabrication company that was founded in 2007 by Shane Blewden and Sean Carragher. 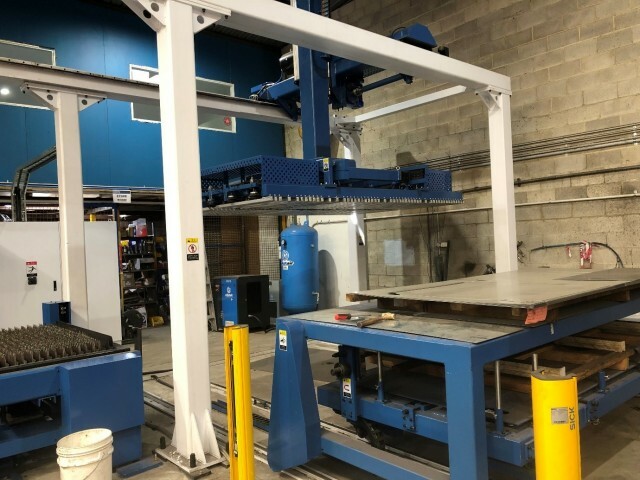 Both men had prior experience in the sheet metal fabrication industry, but after spotting an opportunity in the market and feeling like the time was right, they decided to strike out on their own and subsequently founded Alliance Metal. Experiencing steady growth since its formation, Alliance started out with 4 employees but in its short operational time has grown consistently to now employ an impressive 41 people. Alliance undertakes a variety of work, but they specialise primarily in the mining and construction sectors, with the company recently putting a big focus on the construction industry. 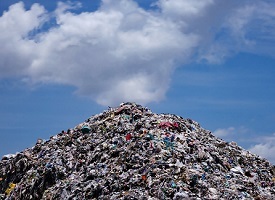 This has seen them expand their opportunities and business potential. Alliance now services all of Australia, from locally in Sydney to many interstate locations, ranging from Perth to Mackay and across rural/urban Victoria. Laser cutting has become a big component of Alliance’s activities in recent years and this has transformed the company and the way in which it operates. 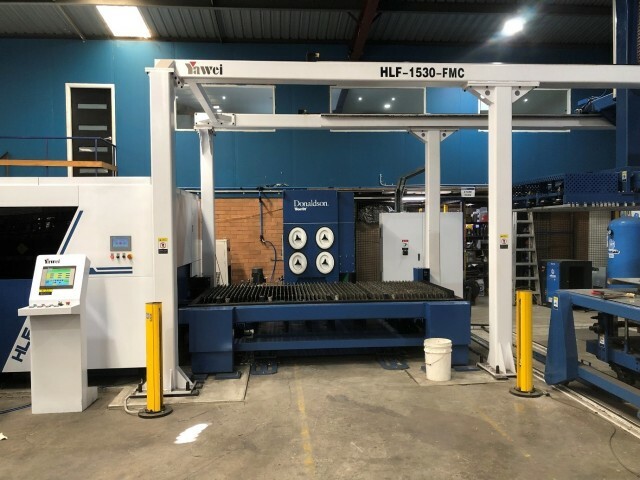 This has resulted in the company recently purchasing a Yawei HLF-1530 3kW Fiber Laser Cutter, complete with an automatic loading and unloading device. 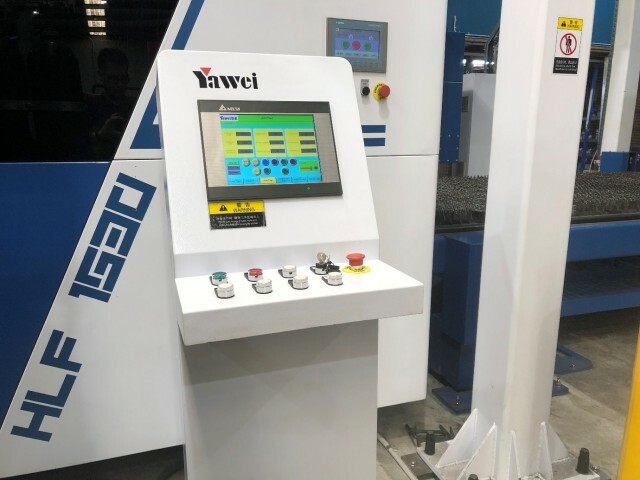 In their search for a new machine, Shane and Sean visited Yawei in China and were immediately impressed by their machines and operations. 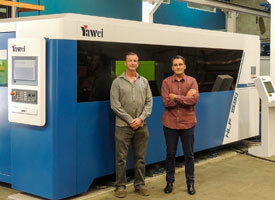 When they saw the Yawei HLF, they knew instantly that the machine was what they needed. The Yawei HLF 1530 Fiber Laser Cutting System has a cutting range of 3000 x 1500mm, and uses IPG YLS fiber laser source with 3kW capacity. Some of its other features include edge detection, auto nozzle cleaning and NC pressure control. One of the key attractions for Shane was the quality components fitted to the HLF, in particular the Siemens controller and Precitec auto focus cutting head. “The Siemens 840D CNC controller is simple to learn and easy to use, significantly improving cutting speeds and material capacity. 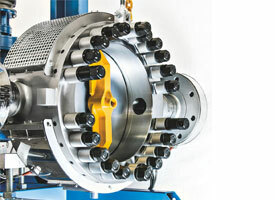 Furthermore, it allows for high-accuracy and repeatability,” Shane said. The fiber laser was delivered recently and has already been a big hit in the organisation due to its ease of use and the end result. “We needed a machine with more speed and energy efficiency, and that’s what we got with the Yawei HLF,” Shane said. “Overall the Yawei is simple and user friendly. Running the machine is a basic task which we like; it saves time and effort. Another attraction is that it uses filtered, compressed air which costs less in the long term due to its lower cost compared to ‘traditional’ assist gases. The etching feature is also well-liked by Alliance operators,” Shane added. 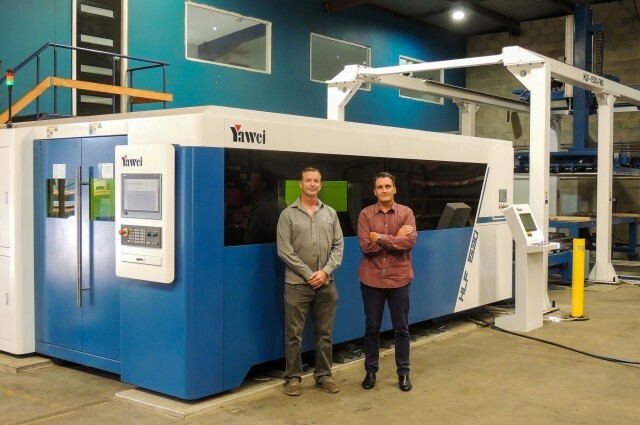 The introduction of the fiber laser cutting machine and what it is capable of has also allowed previously outsourced work to come back in-house. “To say the least, there have been some really big plusses with this machine,” Shane said. “It’s also been quite cheap to run so already we have seen the positive financial implications of the machine; it’s value for money,” he explained. Shane wants to see Alliance continue to grow and expand into the future, and believes they are on the right track. “All in all, we are optimistic about the future and believe we are heading in the right direction – Yawei and Applied have had a role in that,” he concluded. Applied Machinery, with their nation-wide sales and service network are the exclusive supplier of Yawei precision sheetmetal machinery across the country. 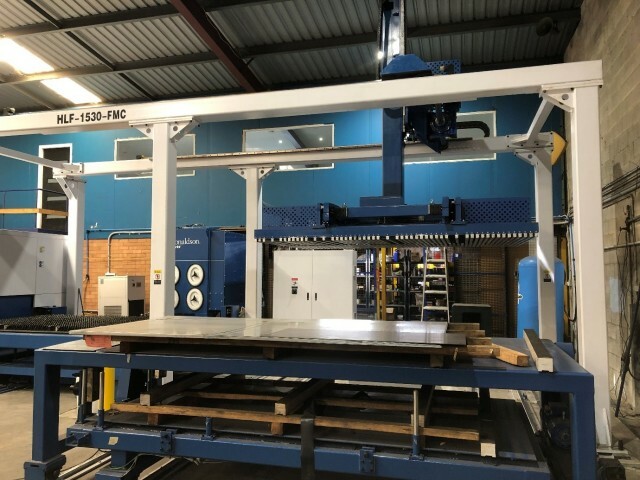 At the upcoming Austech exhibition (Melbourne, May 14th – 17th), Applied will be showcasing an 8kW Yawei HLX series fiber laser, along with a Yawei CNC pressbrake bending cell complete with Kuka robot. For more information, contact Applied Machinery at 03 9706 8066.